Keep your customers comfortable in cooler temperatures with custom printed sweatshirts and sweatpants. Choose from styles such as a hoodie, full zip hoodie, 1/4 or 1/2 zip pullover, crew neck sweatshirt, etc. There are various fabrics and weights to choose from. Softer and lighter fabrics tend to be more popular among the fashion crowd. 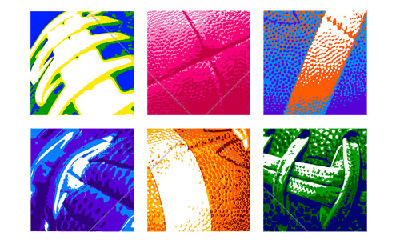 However, for sports, a heavier option may be the way to go. An advantage to printing hoodies is there are more unique places to decorate. Try these trendy print locations: top or side of the hood, sleeve/wrist, pouch area, side, lower back. Our blog post on unique transfer placement goes into more detail on these printing locations. 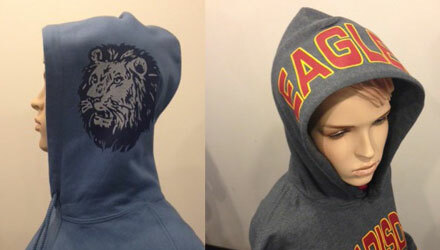 View this blog post for tips on how to print the front of a full zipper hoodie. Transfer size is important when decorating sweatpants. Your choice is limited to 14" to do thigh to knee, or knee to ankle. You can also do a large leg design up to 28". Learn how to print leg prints in this blog post. Sweatpants allow for creativity as well with more print locations than just the side of the leg. Our blog post on sweatpants graphic placement goes into more detail on these printing location ideas. Heat printing sweatshirts and sweatpants is easy but don't forget these helpful application tips. Our blog post on avoiding seams will come in handy. Print Perfect Pad - There are many printing obstructions when it comes to hoodies. Seams tend to be thicker along with the front pocket seams, draw cords, sleeve and bottom cuffs and the hood itself. The solution for this is to use a Print Perfect Pad or even a computer mouse pad to help raise the printing area away from seams and bulky areas. Platens/Presses - If pressing a large quantity of hoodies, a smaller platen may be a better route. It will save you time overall by threading the apparel. 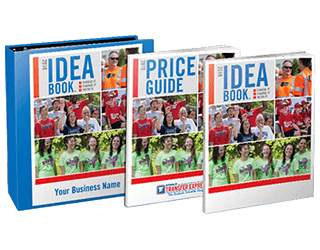 There are different platen choices available depending on the job you are printing. We have the Sleeve/Leg platen, along with other various smaller platen sizes. The platens are interchangeable and quick and easy to switch. A cap press or a 6x6 press are also other options for you to consider as well, depending on the size of your print. 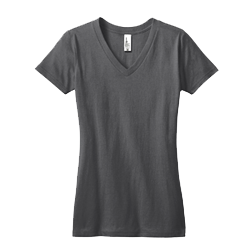 Pressure - With the thickness and bulkiness of sweatshirts and sweatpants, be sure to adjust your pressure before you press. Pre-Press for Moisture - Heavy cotton and cotton blends can tend to hold a lot of moisture. Make sure to pre-press this apparel to get the extra moisture out before applying for best results. 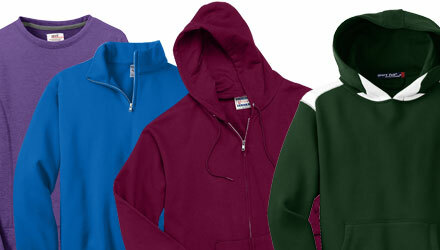 Heat Sensitive Fabrics - We are seeing more hoodies being made with performance style fabrics such as 100% polyester. In this case, you need to check your apparel and printing areas to see if they are heat sensitive. If they are heat sensitive, our Elasti Prints® screen printed transfers are perfect as they apply at a lower temperature. If the apparel is not heat sensitive, our popular Goof Proof® screen printed transfers will work great.